Gender diversity in the entertainment industry has recently been a heavily discussed topic. As these issues are being brought to light, many are coming to a realization that gender diversity in the music industry is just as problematic, if not worse, than in Hollywood. 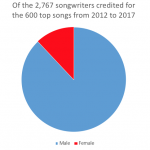 While women’s difficulties breaking into the music business is no secret, a study from the USC Annenberg School for Communication and Journalism Division showed just how blatant the lack of diversity in today’s music industry is for women. The letter is closed with, “Time’s Up, Neil,” but not before including a long list of facts taken from a recent report on Inclusion in Popular Music from USC Annenberg School for Communications and Journalism division. On March 6th, the Recording Academy named the new chair for the Inclusion and Diversity Task Force: Tina Tchen. This Chicago-based lawyer has been a leader of legal defense for Time’s Up, an initiative by some of Hollywood’s most powerful women that seeks to tackle sexual harassment inside and outside their industry. In their initial public letter published in Times Magazine on December 21st, 2017, they address “the struggle for women to break in, to rise up in the ranks, and to simply be heard and acknowledged in male-dominated workplaces.” Exclaiming that the “time’s up on this impenetrable monopoly,” the #TIMESUP initiative has become a unified strive for safe and equitable workplaces for women everywhere, from movie sets, to farm fields, to boardrooms. Members of the music industry are still awaiting a mission statement from the Recording Academy’s Task Force. 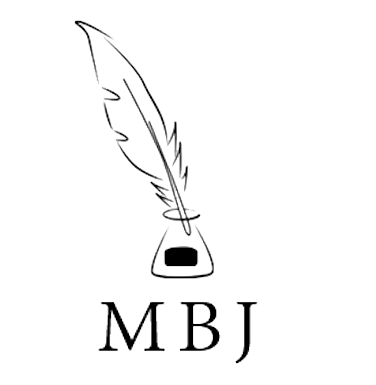 Recently, the media has been heavily focusing on female misrepresentation statistics at a record rate. Some that have been heavily talked about are that female artists comprise only 7.9% of rosters at North America’s major talent agencies and that women make up 59% of entry-level music business roles in the U.K., but only 30% of senior executive roles. 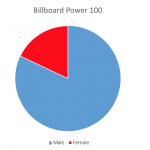 Also, electronic music festival acts in 2015 skewed 82.3% male versus just 10.8% female. Moreover, Beyoncé was Coachella’s first female headliner in a decade. 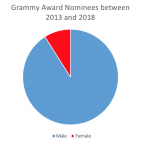 The report from USC Annenberg School for Communication and Journalism division that was referred to in the public letter to Portnow has found many statistics that bring out the lack of diversity in the todays music industry (see charts). Today’s successful music companies are also tech companies. This renders the music industry susceptible to similar diversity and bias issues that arise in the technology and venture capital spheres. But regardless, it seems the necessity for better diversity and inclusion in the music industry is fairly urgent, especially in today’s political climate. 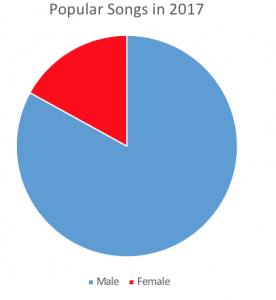 It also seems likely that we will see a growth in music creators pushing for equality and justice, which will be yet another persuasive force for the music industry to start working towards a more equal environment. Hu, Cherie. “A Playbook For Pushing The Needle On Diversity In Music.” Forbes, Forbes Magazine, 2 Feb. 2017, www.forbes.com/sites/cheriehu/2017/01/31/a-playbook-for-pushing-the-needle-on-diversity-in-music/#761e6c321b3b. Lhooq, Michelle. “Numbers Don’t Lie: Sexism in Dance Music Culture in 2014.” Thump, 30 Dec. 2014, thump.vice.com/en_us/article/aeqpwb/numbers-dont-lie-sexism-in-dance-music-culture-in-2014. Aswad, Jem. “Female Executives Call for Grammy Chief Neil Portnow’s Resignation.” Variety, 2 Feb. 2018, variety.com/2018/biz/news/female-executives-call-for-grammy-chief-neil-portnows-resignation-1202684962/. Hu, Cherie. “A Look at How the Recording Academy’s Task-Force Assembly Stacks Up.”Billboard, 26 Mar. 2018, www.billboard.com/articles/business/8257534/recording-academy-task-force-music-industry-concerns-legal-experts. Baker, Lara. “The Challenge Of Organising A Gender-Balanced Conference In The Music Industry.” HuffPost UK, 11 Dec. 2017, www.huffingtonpost.co.uk/lara-baker/gender-balanced-music-industry_b_13555434.html. Weaver, Hilary. “Beyoncé Makes History Yet Again.” Vanities, Vanity Fair, 3 Jan. 2017, www.vanityfair.com/style/2017/01/beyonce-headlining-coachella-2017. Ellis-Petersen, Hannah. “Upper Reaches of Music Industry ‘a Man’s World’, Diversity Study Finds.” The Guardian, Guardian News and Media, 9 Jan. 2017, www.theguardian.com/business/2017/jan/09/upper-reaches-of-music-industry-a-mans-world-diversity-study-finds. “Female:Pressure Report 03.” Female:Pressure, 2015.